So it has been a while since I have posted here. Life has been pretty eventful around here. We have been homeschooling, doing Army Reserve Family Readiness group activities and trying to adapt to living in Texas. 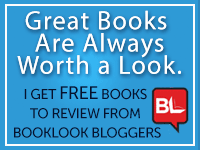 Additionally, I applied for and was accepted to the Old Schoolhouse Magazine Homeschool Review Crew. So life is going to get a little bit more active in the coming months. The first Saturday in December was our Army Reserve Family Readiness Christmas party. I am the Family Readiness Group leader, so that means my family gets drafted into doing whatever I need to be done. For this party, it meant setting up tables and chairs along with filling gift bags for the children. Fortunately, they are good natured about helping me. Here is some of the decorating including some of the tables. Normally, as soon as Thanksgiving is over I like to set up our Christmas tree and begin decorating. But it seems that with each passing year, we actually get around to it later and later. This year, I thought it was going to be Thursday before we could set up the tree. 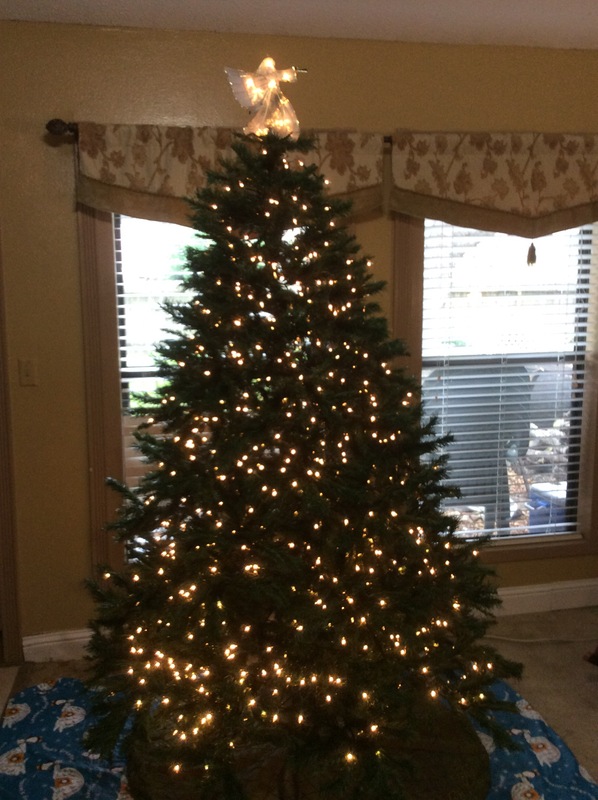 I was sure we needed to buy lights for the tree and my husband agreed with me. So you can imagine our surprise last night when he opened a tote of Christmas items and found twelve boxes of brand new Christmas tree lights in it. Immediately our oldest son was tasked with setting up the tree. He, in turn, drafted our second oldest to help him. Here is a picture of them working on it. Then today, my oldest continued with the task, by putting the lights on the tree. Here are some pictures of him at work. I just love white lights on a Christmas tree. More importantly, I love sitting in the evening or first thing in the morning and watching the tree lights and admiring the ornaments. Each year, I have continued a tradition that my mom started when I was growing up. I buy each child their own ornament. Plus, I buy a new one for us. That way when the children move out, they will have a collection of ornaments to use on their tree and my tree will not look so bare. We have decided this will be the last year for our tree. It has been a loved and faithful member of the family. We have had the tree for almost as long as our oldest son has been part of our family, which means it is almost 20 years old. We have loved putting it up each year, but it is time to say good-bye. That is a hard thing to do, however, because we are having a hard time finding a new tree that is unlit. So I will keep you up to date on our artificial tree hunting adventures. So far, Lowes and Walmart and Big Lots have let us down in this area. Plus, I am not keen on the idea of ordering online when I can not see what the tree will actually look like. So how are your holiday preparations going? I would love to hear from you. Today is the final day of Scriptures of Joy series. The Scripture I have selected for today is Hebrews 12:11. Here is the graphic for today. I hope this series has brought joy to you. 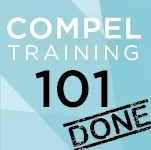 I have found joy in creating the graphics for this series and finding the Scriptures to use. I pray for God to pour His blessings down on you. 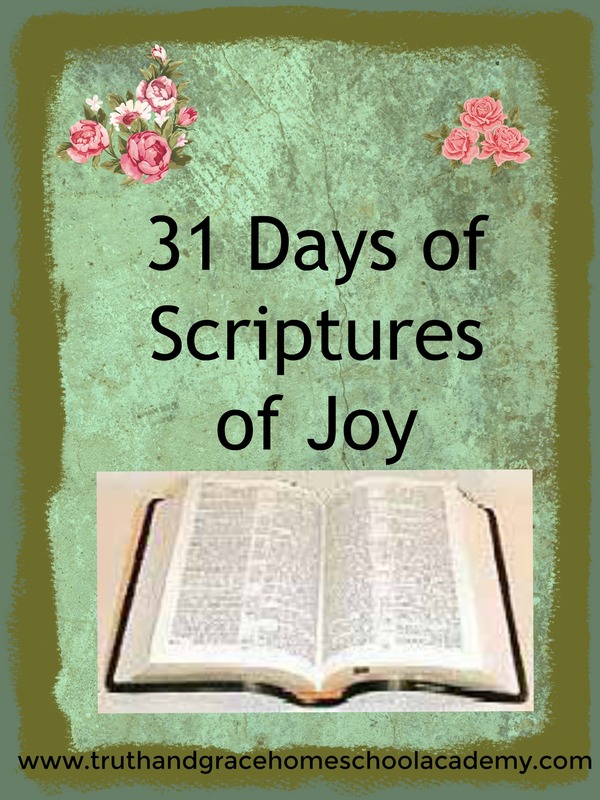 Today is day 30 of my Scriptures of Joy series. The Scripture I have selected for today is Isaiah 12:3. Here is the Scripture graphic I created. What are you finding joy in today? I would love to hear from you. Today is day 29 of my Scriptures of Joy series. The Scripture I have selected for today is Psalm 132:9. Here is the Scripture graphic I created for this verse. So what are finding joy in today? I would love to hear from you. Today is day 28 of my Scriptures of Joy series. The Scripture I have selected for today is Matthew 28:8. Here is the Scripture graphic I created to go with this verse. So what brings you joy at this time of the year. I would love to hear from you. Today is day 27 of my Scriptures of Joy series. The verse I have selected for today is 1 John 1:4. Here is the Scripture graphic I created. So what is bringing you joy today? I would love to hear from you. Today is day 26 of my Scriptures of Joy series. The Scripture I have selected for today is Proverbs 15:23. Here is the graphic I created for this. What is bringing you joy today? I would love to hear from you. Today is day 25 of my Scriptures of Joy series. The Scripture I have selected for today is 1 Thessalonians 3:9. Here is the graphic I created for it. 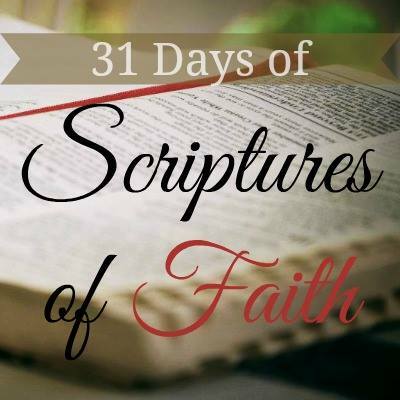 Today is day 24 of my Scriptures of Joy series. The Scripture I have selected for today is Acts 13:52. Here is the graphic I created for this Scripture.